Clifford the Big Red Dog is lucky. He has two families! His human family, who really love him. And his doggy family, who love him too. 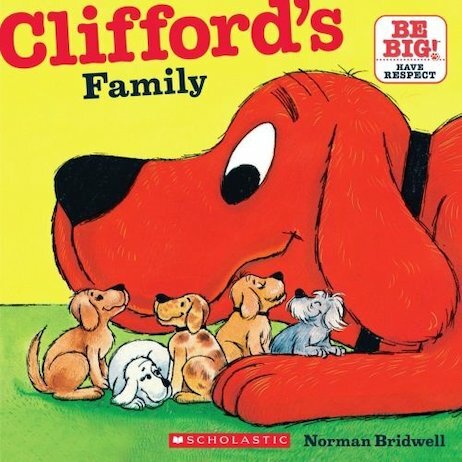 But Clifford doesn’t get to see his doggy family often, and this makes him sad. So Emily Elizabeth decides to take him on a trip to visit his mum, dad, brothers and sisters. If you love dogs, be very happy. There are lots of dogs – big and small – in this book!